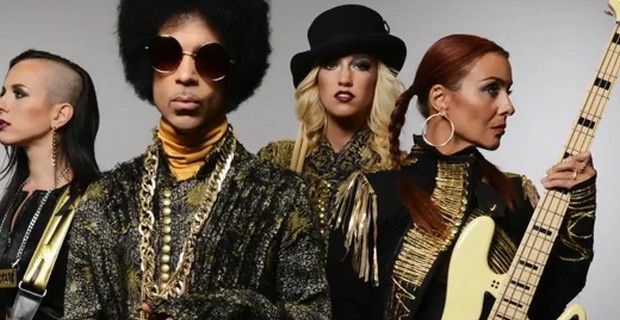 Prince seems to be full of surprises these days, he first withdraw a $22 million lawsuit against a group of Facebook fans he accused of “engaging in massive infringement and bootlegging” of his material. He then appeared with Zooey Deschanel on the sitcom New Girl - playing himself - and the other evening he surprised fans in London when he played a ‘secret’ gig in Camden’s Electric Ballroom. The star, who has released global hit albums such as Purple Rain and Sign O' The Times, appeared on stage shortly after 12:30am at the Electric Ballroom in front of a crowd of less than 300 after his manager Kiran Sharma broke the news on Twitter. During the half hour gig, the 55-year-old musician did versions of I Could Never Take The Place Of Your Man, from the 1987’s Sign O’ The Times and a cover of Wild Cherry’s classic Play That Funky Music and material from his album. He did play two acoustic tracks in her living room including his new single PretzelBodyLogic. Prince is also rumored to be one of the headliners at Glastonbury this year.